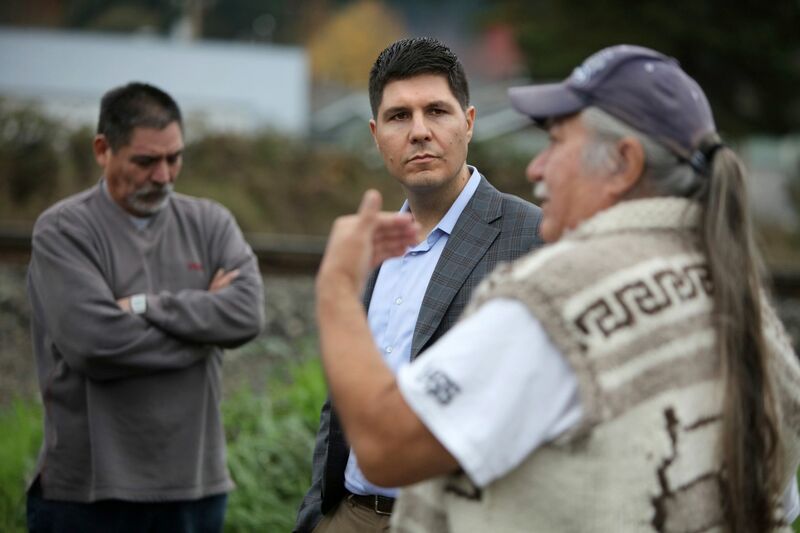 Seattle lawyer Gabriel Galanda, a longtime defender of Native American rights, is fighting what he calls an ‘epidemic’ of tribal disenrollment. DEMING, Whatcom County — In his big gray truck, Gabriel Galanda makes a notable entrance into a Nooksack tribal-housing development of a couple dozen modest homes, set on a winding road about a half-hour east of Bellingham. Many of the residents, members of a sprawling clan who move easily in and out of each other’s homes, appear with platters of fry bread, chicken adobo, baked halibut, salads, cupcakes and pies. It’s a feast befitting their biggest defender, one who has made their small tribe of a couple thousand members well-known throughout Indian country, and not in a good way. The Nooksack tribal government for the past three years has been trying to disenroll the clan in this housing development and its extended family — which would strip all 306 of tribal membership. …Galanda’s own ancestors were Native American, Scandinavian, Portuguese and Austrian — a mixed heritage that caused him to question his identity during his formative years. This entry was posted	on Saturday, December 26th, 2015 at 20:05Z	and is filed under Articles, Economics, Law, Media Archive, Native Americans/First Nation, United States. You can follow any responses to this entry through the RSS 2.0 feed. Both comments and pings are currently closed.